No, the Xbox One S isn't a very good 4K Blu-ray player | What Hi-Fi? 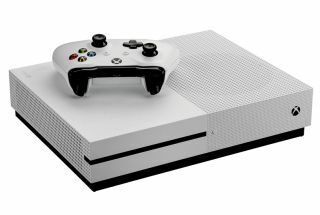 When Microsoft announced that its Xbox One S was going to feature an Ultra HD Blu-ray player, we were instantly excited by the prospect of a feature-packed, bargain 4K disc-spinner. And we know we weren't the only ones. £250 for a games console and 4K home entertainment hub? Yes please. Sadly, as our in-depth Xbox One S review revealed, it didn't quite deliver (you can read the full review here). Yes, the picture and sound quality is passable, but the console doesn't make the most of the new 4K disc format. A comparison with dedicated players from Samsung and Panasonic makes that all too clear. Of course you get a whole games console, complete with plenty of streaming features, but if you were eyeing-up a full-fat device with which to build a 4K Blu-ray collection, we'd sound a note of caution. Ultra HD Blu-ray is all about ultimate picture and video performance, and sadly you don't quite get that here. Fear not, with Microsoft backing 4K Blu-ray, the company's next-gen console, codenamed Scorpio, could yet provide the answer. It's due to launch in time for Christmas 2017, and could finally marry the best of 4K gaming and 4K video. Click through to read our full Xbox One S review. PS4 Pro vs Xbox One X: which is best? PS4 vs Xbox One: which is best?